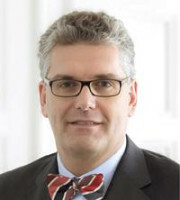 Jan Bernd Nordemann is one of the leading copyright lawyers in Germany. He represents clients before the courts, produces expert opinions for clients on copyright law issues and drafts copyright agreements. In addition, he is active in political consulting on copyright and advises associations and parties. He also helps his numerous well-established clients with their day-to-day copyright problems. Mr Nordemann is well-known in the field of antitrust law. In this area he works primarily on the interface with IP law, particularly on antitrust law compliance of licensing agreements, R&D contracts, distribution agreements and self-regulation by media associations. He is also regarded as one of the few German experts with relevant sector experience in the area of press distribution contracts. Mr Nordemann studied law in Berlin, Gottingen and Cambridge. Since 1997 he has worked as an attorney at law for BOEHMERT & BOEHMERT. The Humboldt University of Berlin, where he has lectured for years on copyright, trademark and competition law, appointed him as an honorary professor in 2007. Since 2013 Mr Nordemann has been the legal director at the Erich Pommer Institute (EPI) for media law, media management and media research in Potsdam. He is also a supervisory board member of the Film University Babelsberg Konrad Wolf, the main shareholder of the EPI.